Contrary to popular belief, bail agents do not dress and talk like a bodyguard or club bouncer. Some may have the build of one, but not all of us. You really have nothing to be afraid or intimidated of when you approach a bail bond company like Reseda Bail Bond Store. In fact, we are some of the most genuine, helpful, and honest strangers you will ever meet. Here are some more real truths to those very fake myths. Truth: Bail bonds are not scams. There is nothing sketchy here. The bail bond industry is a legitimate business that is an alternative to cash bail and a 100% legal way to get a loved one out of jail. The premium costs 10% of the full bail amount and comes with a payment plan, 0% interest, and no hidden fees. We work directly with you, the court, and the jail to get the process over and done with, to get your loved one freed. Myth: Bail bondsmen can negotiate for a lower bail. Truth: Unfortunately, bail bondsmen cannot negotiate a lower bail for your loved one. In addition, it is rare for a judge to lower bail once it has been declared in court. Though your Reseda Bail Bond Store agent cannot lower bail, we can get you a payment plan that is tailored to your financial needs so financial stress is less of an issue. 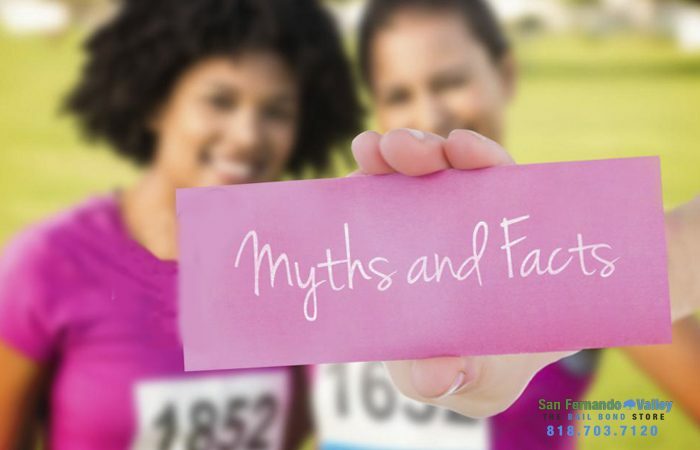 Myth: Bail bonds must be paid for in cash. Truth: Cash is an accepted form of payment, but so is debit, credit, and checks. Bail bonds are designed to be more accommodating, convenient, and flexible. Whatever form of payment you wish to make is up to you – just make sure payments are made on time. Still have questions? Call up Reseda Bail Bond Store at 818-703-7120 or speak with an agent online. Consultations are free and we are happy to help you out! Reseda Bail Bonds, San Fernando Valley Bail Bonds affordable bail bonds in reseda, bail bond faq california, bail bond frequent questions califonria, bail bond myth california, cheapest bail bonds in reseda, family bail bonds reseda, fast bail bonds in reseda, Reseda bail agents, Reseda bail bonds, reseda bail bondsman, Reseda bail information, reseda bonds, reseda inmates location, reseda jail helps. permalink.